All images: Meine dienstzeit, circa 1941-1942. José María Castañé collection of war-related photograph albums, MS Span 183. Houghton Library, Harvard University. In my first post on Houghton Library’s holdings from the Castañé collection of documents and objects relating to European conflicts of the 20th century, I focused on two particularly poignant items: a ration card issued to a young Polish girl early in the Second World War and an armband worn by a “Kapo” at an unspecified Nazi concentration camp. 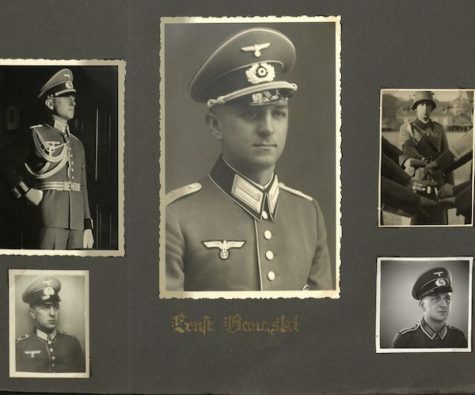 In this second post, I’ll be examining another category of material strongly represented in the collection: photograph albums created by military personnel in the field. Cambridge Rindge and Latin student, Jaret Berman, helps create a custom folder for a scrapbook. 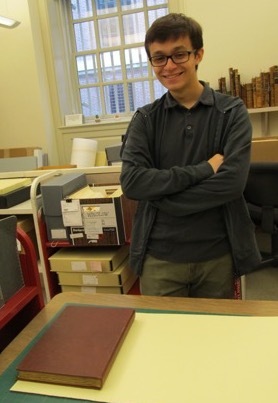 For the sixth consecutive year, Houghton Library had the opportunity to hire a paid intern from the Cambridge Rindge and Latin High School (CRLS) to learn about our work by helping with collections end-processing, which among other activities includes labeling and housing items. Through the School-to-Work program, the Harvard Union of Clerical and Technical Workers (HUCTW) coordinates with the Cambridge Office of Workforce Development, Harvard schools and departments, and Cambridge Rindge and Latin High School to provide job training as well as learning opportunities for high school students. I have everywhere found Archivists the least competent of human beings to judge of the character or value of historical papers; and if I had not been favored with the aid of higher powers, both in Paris and London, my enquiries would have been to little purpose. There Archivists look upon themselves as the special guardians of the good name of forgotten statesmen, and their families, and are particularly tender in whatever touches the reputation of foreign governments, friends or foes; in other words they have a high opinion of their own consequence, and have a mortal aversion to every thing that may disturb the repose of their offices to giving trouble either to themselves or their clerks. When Jared Sparks vented to Henry Wheaton in the winter of 1844, he was midway through four decades spent peering into American and European archives. 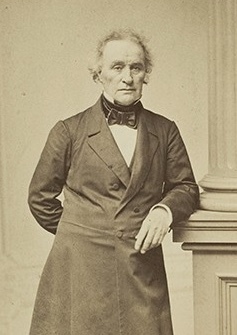 Like many historians in the antebellum U.S., as a young man he had descended from the Unitarian pulpit in order to pronounce another narrative–also transcendent, and likewise based on the close analysis of primary documents. At the helm of the North American Review, as the editor of George Washington’s and other revolutionary leaders’ papers, and later while a Harvard history professor and president, Sparks pursued his abiding obsession to comprehensively document and narrate the American Revolution. More than any other American in the early U.S., he envisioned an American archive, which would gather materials from throughout the nation–indeed, from different corners of the Atlantic–in order to tell a unifying national story. Houghton Library is pleased to announce the following collections are now described online and accessible in the reading room. A message from Thomas Hyry, Florence Fearrington Librarian of Houghton Library. I am pleased to announce that we will undertake a major renovation of Houghton Library with the goals of modernizing our research and teaching facilities, expanding our exhibition and display capabilities, and improving physical accessibility and visibility. Enhancements will include a new gallery space in Houghton’s lobby to showcase items from the collections; designated areas for quiet study and collaboration in our reading room; and the addition of a graceful new entryway, visitor elevator, expanded restrooms, and other measures that will promote accessibility. To learn more about the renovation, please read the detailed announcement in the Harvard Gazette. The vision and plans for a more accessible and welcoming Houghton Library have developed over the past several years, in consultation with faculty, students, visiting researchers, architects, security experts, and many others. Over the next two years, Houghton staff will work together to bring to fruition an evolving concept of the library that will provide a more contemporary approach to the excellent research and teaching services on which the Harvard community and visiting scholars rely while maintaining many elements of our classic identity. We anticipate a one-year construction period, to begin in Fall 2019, during which we will continue to provide access to Houghton collections for research and teaching through temporary quarters in Widener Library. Extreme care will be taken to ensure the collections remain protected and secure over the course of the project. The plans for Houghton align with the commitment by the university, the Faculty of Arts and Sciences, and Harvard Library to provide more inclusive, welcoming spaces for students, faculty, researchers, staff, and visitors from across campus and around the world. This renovation is a key component of a larger group of initiatives that will ensure Houghton becomes an even more active and valuable resource for current and future generations. By Noreen Masud, 2018–2019 Houghton Library Visiting Fellow/Eleanor M. Garvey Fellow in Printing and Graphic Arts, and a Leverhulme Early Career Fellow at Durham University. She works on topics including aphorisms, culinary leftovers, flatness, and hymns in nineteenth- and twentieth-century literature. Owls and Pussycats going to sea, Old Men with beards full of birds, Pobbles with no toes: Edward Lear’s landmark nonsense writing overflows with things surprising to his readers. But, for his characters, things are sudden more often than they are surprising. “Sudden” and “surprising” both describe events one didn’t expect. But “surprising” is preachy: it tells you how you should feel (astounded, startled, confused). Something “sudden,” meanwhile, omits emotional cues: it also happens quickly, but does not dictate how you should respond. Describing something as sudden only tells you that it happened faster or sooner than you might have expected. In a letter to Hubert Congreve, Lear uses the word idiosyncratically, to mean something like “immediately”: “If you want to buy the Corsican Series for £1100—let me know suddenly” (2 May 1883, [MS Eng 797]). By Joseph Gauvreau, Ph.D. candidate in Comparative Literature. Joseph was a summer 2018 Pforzheimer Fellow in Harvard Library. Working closely with Christina Linklater (a Houghton music cataloger and keeper of the Isham Memorial Library in the Loeb Music Library), he reported a number of Harvard’s music manuscript holdings to RISM. Joseph’s essay is published in memory of Harvard professor John Milton Ward, who passed on December 12, 2011. Along with his wife Ruth Neils Ward, Professor Ward gave many materials such as the Galathée manuscript to the Harvard Theatre Collection. Joseph’s research and cataloging resulted in a more detailed HOLLIS record for this item. By Vincent Harmsen, 2017–2018 Houghton Library Visiting Fellow and recipient of the William Dearborn Fellowship in American History. Mr. Harmsen holds a master’s degree in history from the Sorbonne University, Paris. Quentin Roosevelt in France, 1918. Sagamore Hill National Historic Site. November 19, 1918 would have been the twenty-first birthday of Quentin Roosevelt, son of Theodore Roosevelt. 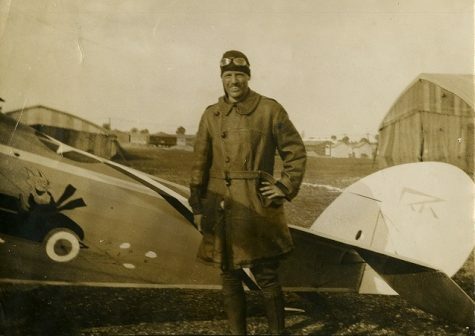 However, Quentin had died in France a few months before while serving as a fighter pilot against the Germans during World War One. His mother, Edith Roosevelt, remained silent in her private diary until October 31, stunned by the news of her son’s death. The birthday celebration his family had planned became a ceremony of remembrance and sorrow.